Shots from Lake Villa Resort where I really had a great time with my favorite hobby of sky watching and of course shooting sky shots. 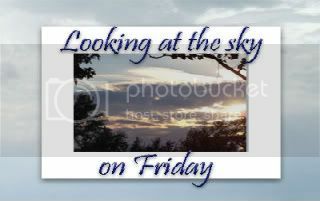 I had tons of beautiful sky shots on that day and all I have to do is pick from my collection to post my entries. I'm prepared for the rainy season :-) We're blessed with a nice weather that day even if the whole of that week gave us rain showers. It did rain but on the night of my Mom's birthday celebration just as we were preparing to sleep. Beautiful photo, I love all the blue!